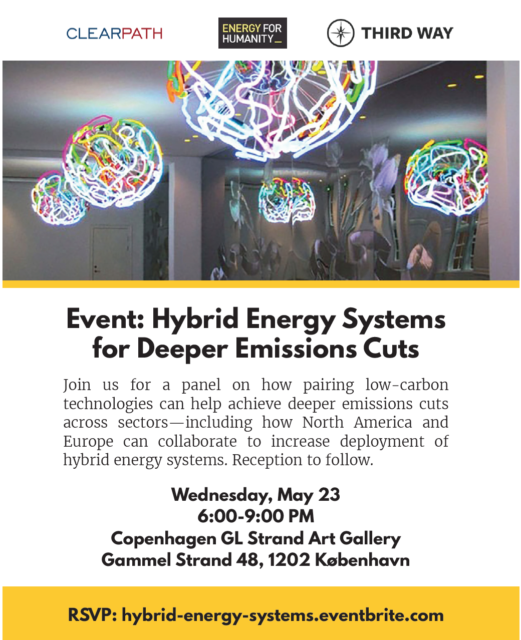 Join us for a discussion on how pairing low-carbon technologies can help achieve deeper emissions cuts across sectors– including how North America and Europe can collaborate to increase deployment of hybrid energy systems, followed by a reception. What are the economic, political, and policy opportunities of pairing a wide variety of low and zero carbon technologies? How can coordination between the power, transportation, and industrial sectors allow for more efficient and aggressive emissions reduction? How can North America and Europe work together on the research, development, and deployment of hybrid energy systems? Where in North America and Europe have hybrid energy systems been successfully incentivized and deployed and what lessons can be learned from these successes?